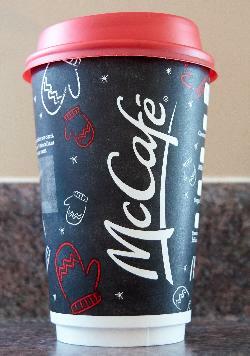 The front side of the McDonalds medium Christmas(Holiday) coffee cup in 2017. Purchased in Ontario. 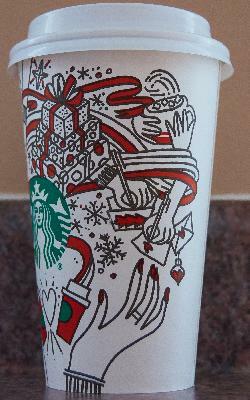 The front side of the starbucks medium coffee cup celebrating Christmas in 2017. Purchased in Ontario. Contains various artistic drawings of Christmas related activites. 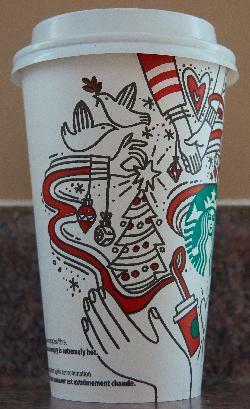 The left side of the starbucks medium coffee cup celebrating Christmas in 2017. Purchased in Ontario. 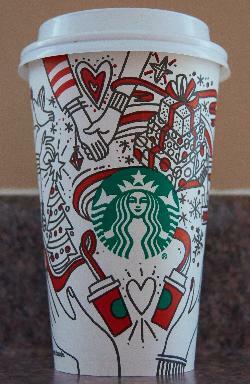 Contains various artistic drawings of Christmas related activites. 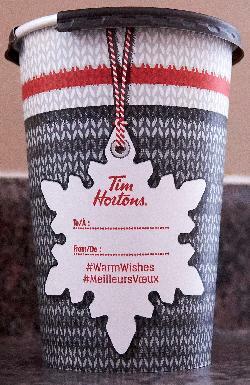 The back of the Tim Hortons large Christmas 2017 coffee cup. This is the Canadian version, found in Ontario. 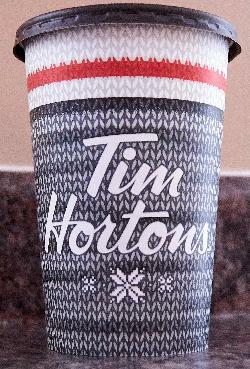 The front of the Tim Hortons large Christmas 2017 coffee cup. This is the Canadian version, found in Ontario. The English side of the Tim Hortons medium coffee cup celebrating Canada's 150th anniversary in 2017. Purchased in Ontario. Contains iconic images of Canada.